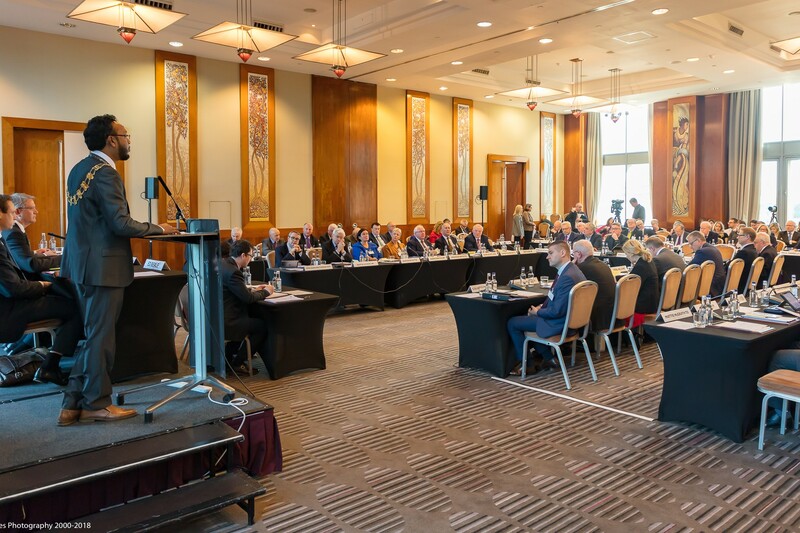 The British Irish Parliamentary Assembly opened in London today, 22 October 2018, with a welcome address by Speaker of Tower Hamlets, Cllr Ayas Miah. The Plenary heard addresses on Brexit and the situation in Northern Ireland, from Secretary of State for Northern Ireland, Rt Hon Karen Bradley MP and Irish Ambassador to the UK, Adrian O’Neill and Shadow Northern Ireland Secretary Tony Lloyd MP. The session also discussed equality and democratic representation, with an address by Maria Miller MP, Chair of the Women and Equalities Committee. UK Co-Chair, Andrew Rosindell MP commented: “I would like to thank all our speakers today for their engaging and thought provoking addresses. The purpose of BIPA is to ensure dialogue between our nations and parliaments, including devolved bodies in the UK. This is all the more important as Britain looks forward to leaving the European Union and we develop a new relationship. What we heard today from our members and speakers was concern about the future, but also a strong desire to work together to continue the special relationship between Ireland and the UK. This is the spirit we must move forward with and I hope both Governments share that perspective. The British Irish Parliamentary Assembly continues today and tomorrow. Graham Stuart MP, Minister for Investment, Department for International Trade, will address the Assembly. Tom Tugendhat MBE MP, Chair, Foreign Affairs Committee, House of Commons, will address the Assembly and respond to questions. Rt Hon Michael Gove MP, Secretary of State for Environment, Food and Rural Affairs, will address the Assembly and respond to questions.